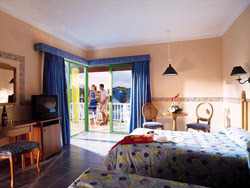 Facing the sea, in one of the best areas of the blue beach of Varadero. Iberostar Tainos is only a 20 minutes from the International airport. The Iberostar Tainos hotel 4*** facility on the most beautiful beach located on the north coast of the Caribbean island of Cuba. This is a perfect spot for families and couples. It has a total of 272 rooms with well taken-care gardens as well as interesting activities for your family and an exquisite food offers from the best of the international cuisine as well as Cuban. The beach area has white sands and cristal waters that are the perfect setting for the families who like to enjoy a vacation paradise in Cuba. There is also the ption for a wedding. The natural environment that surrounds the Iberostar Tainos hotel converts it in the perfect venue for celebrating your wedding. The hotel also is able to organize romantic honeymoons. 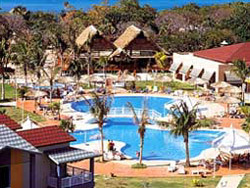 Check our top varadero hotels online. No reviews for Hotel Iberostar Tainos yet.